I'm very happy with myself and feeling ever so clever, because I managed to combine my two nail art challenged for today into one mani. 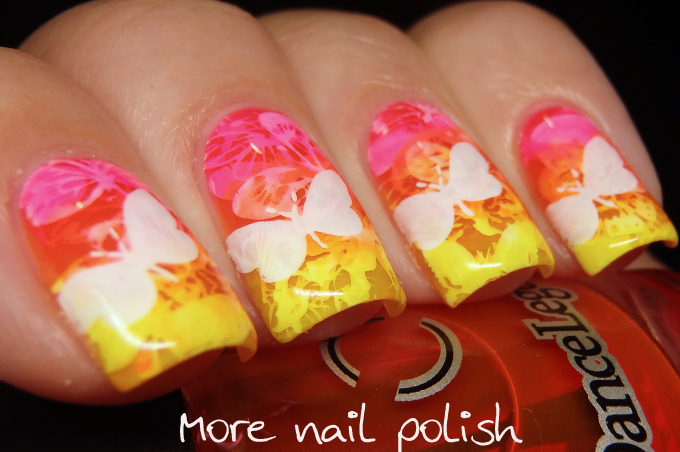 Digital Dozen's theme of whimsy and the 40 Great Nail Art Ideas weekly challenge, where the theme was neon and my personal prompt was stamping. 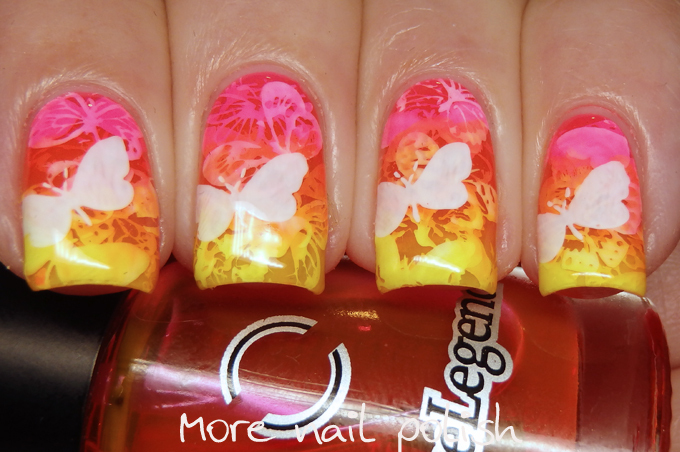 I could have also joined a nail art challenge for gradient as well as pond mani, cause this mani has so much going on. 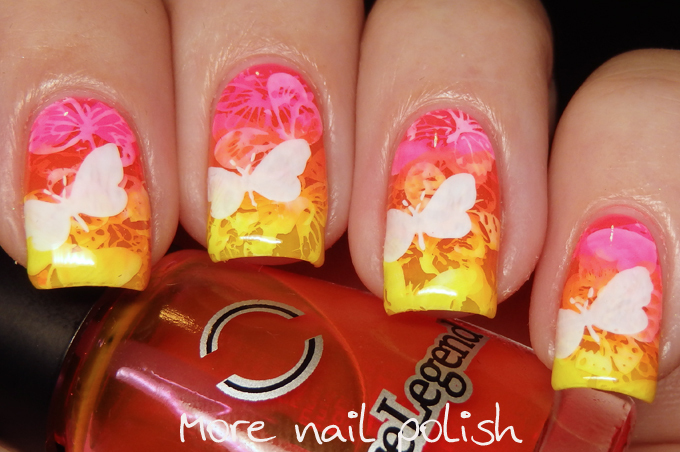 I used the Dance Legend Aquarelle top coats for my gradient and stamped various butterflies between the gradient layers. I think I did about five or six layers, which in hindsight was probably too many, because the layers of butterflies tend to over lap too much, but I can still make out the different layers. 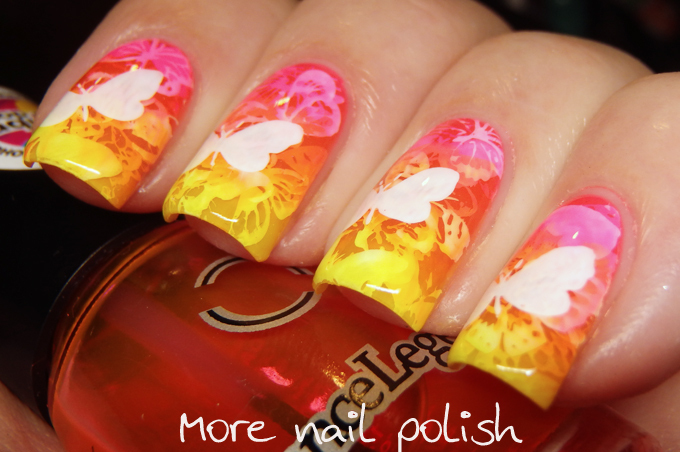 Wow, that gradient is gorgeous! It looks so smooth! Not too many layers! I love it. Love! This is just perfection! Ooh I love this. What a great idea!! This is so beautiful and what a great a creative idea. Love it!